I have been injured for quite a few months now with a troublesome ankle tendon. This kind of injury is rarely from a big impact, more from overuse which also means that it takes longer to repair and only flairs up when you use it in the same way which brought it on in the first place. So riding in foot straps has been near on impossible as it requires me to flex those aggravated tendons. To stop me going completely insane watching all my mates on the water, I thought I would try out a different kind of board – a strapless wave board/surf board. It took only a few goes to actually nail a waterstart and get going, we got a small clip of me riding along in Langebaan (South Africa) yesterday as you can see. 1. 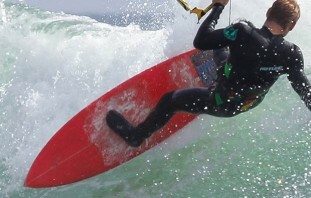 Try it first in flat water until you get used to riding both a wave board and/or strapless. You may look strange heading out into flat water with a wave board under your arm but you’ll certainly look better when you eventually head out to the waves and don’t get pounded! 2. Get a board with grip pads on like I had – or use lots of wax. 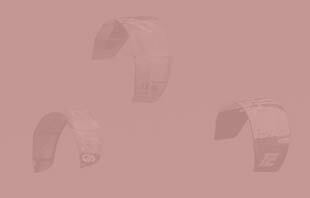 You do tend to stand up more as oppose to edgeing against the board, without straps its hard to keep your feet ‘stuck’ to the board. 3. Hold onto the board with one hand (your back hand) whilst you position it in front of you and get your first foot (front foot) on. These boards are much more buoyant than a twin tip and have the tendency to bob along, drifting away from you! 4. Try and keep a little power whilst you position your feet on the board – if its not windy enough then move your kite a little back and forth to help as these guys in Kiteboarder suggest. 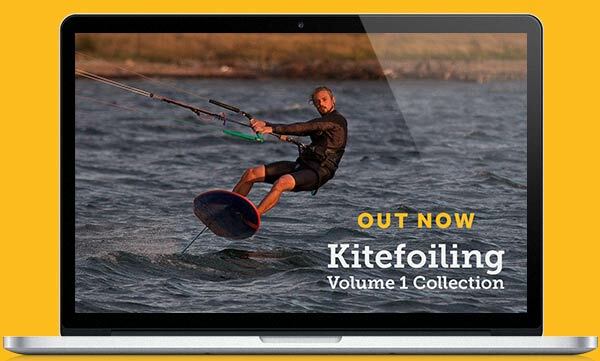 The iksurf article also suggests a ‘soft’ waterstart where you navigate the kite backwards first to give you a bit of pull up before diving it. This is for the same reason I imagine – to help get your body & feet positioned a bit more above the board before waterstarting. 5. Keep a fairly wide stance as this will help with balance. 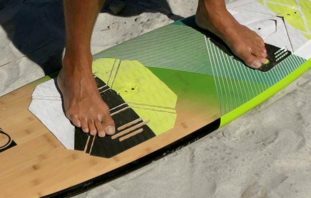 If your board is one designed for kitesurfing then the pads will give you a clue of where to put your feet. For me (5 foot 9) this was about two foot apart, ensuring my front foot was a lot further forward than I originally thought. 6. Stand up straight. You need a lot more front foot pressure that you would on a twin tip, with the aim to flatten out the board. When I first tried I was digging in the tail and the nose was too high to plane. If you think about standing up a little straighter, maybe in the stance you would use for light wind riding, this will help a lot to get up and going. Everything else is the same for any waterstart – dive the kite, point the board downwind to get up the speed and then lean back gently (not as hard as you would with straps) as you drive the board more upwind. As you can see on my video I didn’t quite know what to do when I wanted to turn around so I will try out a carve or gybe next time I go out! I found it a completly different feeling riding this way. It definitely felt more ‘free’, more cruisey and more fluid. It was also nice to go and learn something completely new without feeling like i needed to put my body through hell to do it!